We understand that not all businesses are the same and may require more additional information stored about their clients. 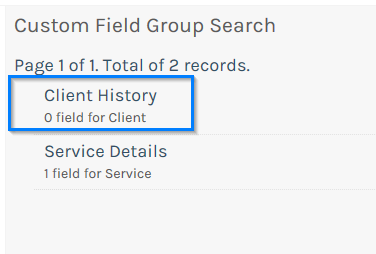 With our Client Custom Fields feature you can create your own Client profile that is relevant to your business. This is useful to help you manage your clients more effectively and save you time in paper handling your client cards. 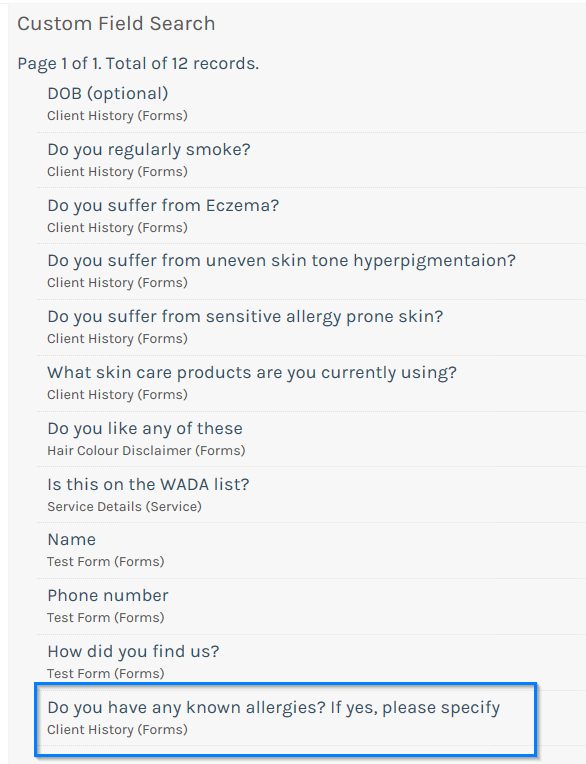 First, let's have a look at a typical Client History card as shown below. This article will help you transfer that information needed into your client records. 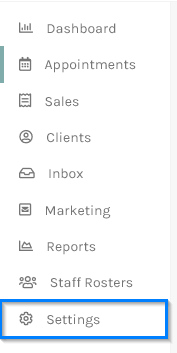 To set up your Client Labels click on Settings in the side menu. 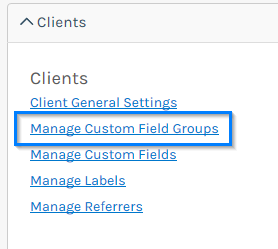 In the Settings screen under the Clients section click on the Manage Your Custom Field Groups link . 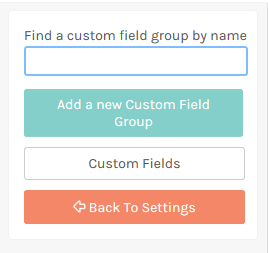 Custom Field Groups are a way of grouping your custom fields into related sections. 9. 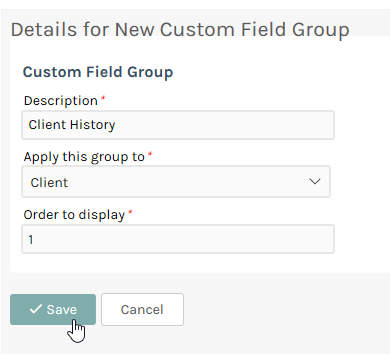 Repeat steps 6 to 8 for all your Plain Text custom fields. 10. Now lets add a Date field, for example Date of Birth (or DOB in the form above). 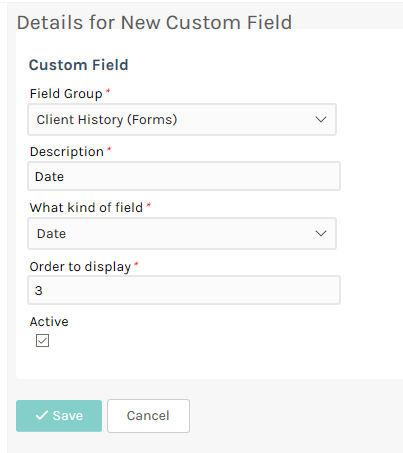 In the Details for New Custom Field screen make sure the select Date as the field type and then click the Save button. Repeat for all Date fields that you require. 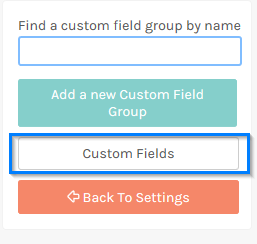 Don't forget to keep track of the Order to Display field, otherwise the system will list your custom fields alphabetically. 11.You may want to add a Number field or a Decimal Number field, again make sure to select the Number (or Decimal Number). 12. 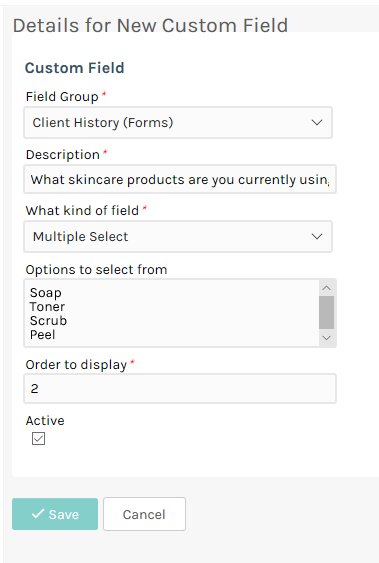 To add Yes or No fields for example Question 5 in the form above, simply choose the Yes or No field type as shown below and repeat as for all your questions that simply have a Yes or No answer. Again don't forget to keep track of the Order to Display field. 13. 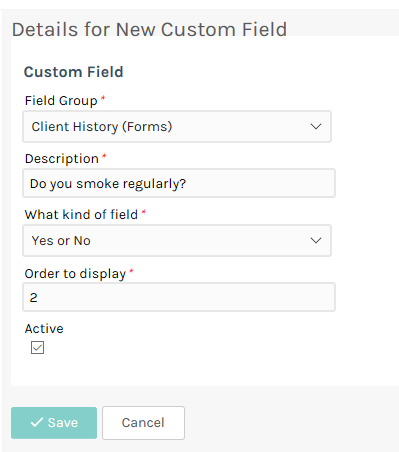 You may require custom fields that have multiple choices but only require one answer, for example Question 9 in the above form example. 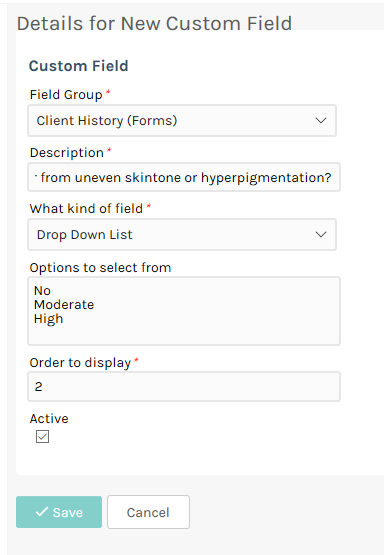 To cater for this, use the field type called Drop Down List. 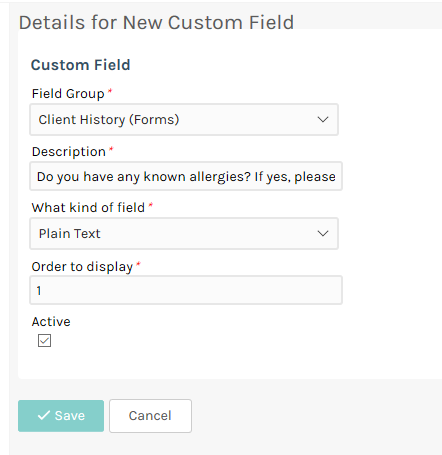 In the Details for New Custom Field screen: enter the question you would like to ask; Select Drop Down List as the field type; enter all the possible answers in the Options to select from field; enter the Order to Display number and click the Save button. 14. Similarly you may have questions for your clients that have multiple choices that can have multiple answers, for example Question 10 in the above form example. 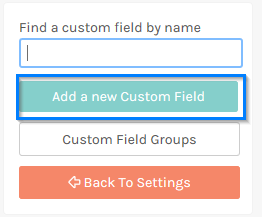 In the Details for New Custom Field screen, make sure to select Multiple Select as the field type and type all the possible choices in the Options to select from field. Again don't forget to keep track of the Order to Display field and then click the Save button. Repeat for all your multiple choice questions.